A deck building project in Fort Collins is exciting. You’re either planning to add or already in the process of adding a deck to your home. Decks add numerous benefits to your home. Not only will you have a dedicated space to host events with friends, family, and more, but you will also be able to spend some quality outdoor time without actually leaving the house. Before we get too far ahead of ourselves, we need to consider what it will actually take to build a deck. 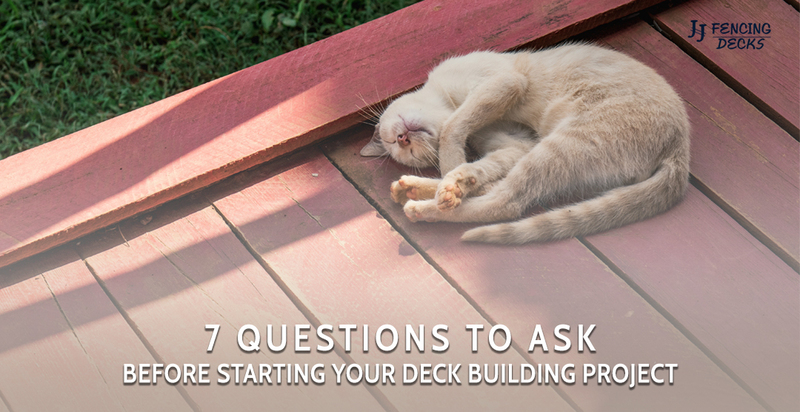 In this post, we share seven questions you need to ask before you start your deck building project. Question #1 – Do You Need A Permit? In Larimer County, you do need a residential building permit for a deck. You can find the information for residential requirements on the Larimer County Building website. It’s best to understand the process of applying for and getting a permit before you start the building process. Question #2 – Which Materials Do I Need? It depends on what you’re trying to build. You can use vinyl, cedar, composites, or otherwise. The better question would be to ask how often do you want to maintain your deck? The more natural you go with your deck material, the more often you will find yourself maintaining it. Question #3 – Does Deck Size Matter? In short, yes. The size of your deck does matter, and it should match your lifestyle accordingly. Furthermore, the size you choose to build will determine how the permit process works and the cost of the overall project. Consider various deck sizes to see which one fits your budget and project the best. Question #4 – Hire A Professional Or Do-It-Yourself? At JJ Fencing & Decks, we respect the DIY mentality you bring to your home improvement projects. However, do you want to get your deck done in a week or in a couple of months? We have customers who come to us with plans, specific steps they would like us to complete, and we complete them. Unfortunately, those homeowners have yet to finish their decks. Typically, once a deck build begins, homeowners request us to finish their project because it is hard work and time consuming. Question #5 – How Important Is Deck Design? Extremely. Your deck design will determine how you use the deck. It also can play a role in deciding how large to make your deck. If you want to fit a table, chairs, benches, barbequer, you need to have the space and organize it properly. Question #6 – Do Decks Need Rails? In most cases, the answer is yes. If the deck is two-feet or more off the ground, it’s required to have rails. However, if you build a “platform” deck, you can get away with not having rails. Question #7 – Do Decks Need To Be Inspected? Yes. Your deck will go through a permitting process. Once your deck is framed, it will get a final inspection from the county to ensure regulations have been met in the building process. At JJ Fencing & Decks, we believe we are the best deck contractors in Fort Collins. We deliver superb customer service, excellent craftsmanship, and use high-quality materials for all our projects. We set ourselves apart because each deck we build is more than an added home feature. It’s a feature that allows families and friends to gather and make memories. When you choose us, we strive to deliver more than a high-quality deck. 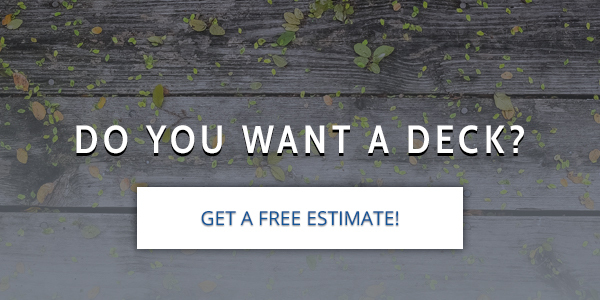 Contact us today to discuss your deck building questions or to get a quote for your upcoming deck project.